CDSP Video is an offshoot of the established obedience venue Companion Dog Sports Program, headquarted in Andover, NJ, USA. A few dog owners who live a great distance from trials approached us about setting up a way to earn obedience titles using video, and this is what we came up with. It's also a good option for teams with shy or reactive dogs. Within a few months of opening registrations, we have enrolled teams from Belgium, Canada, West Australia, and many states in the U.S. Both the parent CDSP venue and CDSP Video include titling classes of Starter Novice, Novice, Open, Versatility, and Utility. 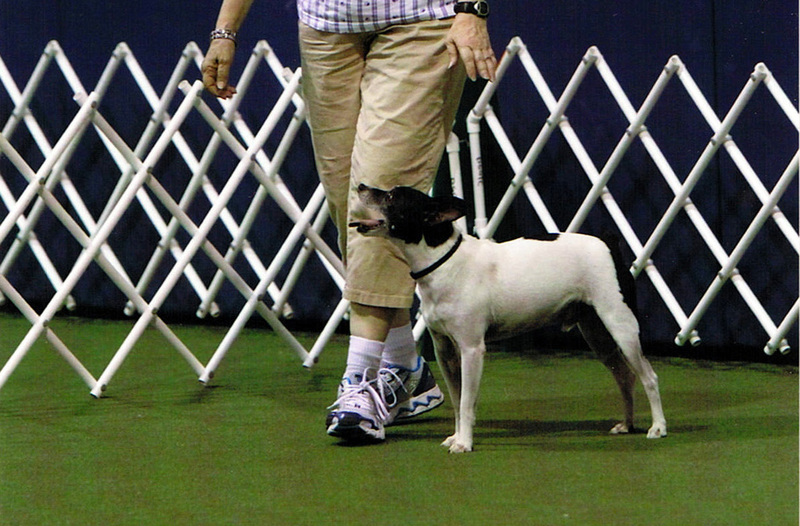 Exercises in the classes vary slightly from venues like AKC and UKC. There are no group or honor stays, exhibitors may verbally encourage their dogs (extra commands are penalized), and the exhibitor may give a treat between exercises. Exercises may be modified with a judge's permission to lower the jump height for elderly dogs or to accommodate challenges the handler may face, so long as the exercises are completed according to the intent of the rules. Earning a title at each level requires three qualifying scores of 170 out of a possible 200 under two different approved judges. Once a title is earned, teams may compete in the "C" class at that level. Ten scores of 185 or better will earn a championship. Video examinations are conducted according to the rules of the parent CDSP organization and are judged by approved CDSP officials. If a single camera is used, the test is scored simply pass or fail. If an exhibitor wants to be scored, two cameras must be used simultaneously at right angles to each other. No video may be edited, and must show both the handler and dog from ring entry through ring exit. Almost all tests may be done with one camera, but if an exhibitor reaches Utility B and hopes to earn OTCH-Cv points, then the runs must be scored and two cameras must be used. However, UDX-Cv legs may be earned using a pass/fail evaluation. CDSP Video is managed separately from the parent CDSP venue. Video titles do not directly transfer to CDSP live events. However, handlers are given a chance to validate their video titles by earning one qualifying score at that level in a live trial. Dog registration numbers also do not transfer. You would have to enter CDSP Video and CDSP separately. Register your team with CDSP Video. See the Registration page on this site. Download and read the rules carefully. Find a space that meets the ring size requirements and collect your equipment. Filming may be indoors or outdoors, but a ring should be defined by ring gating, fencing, or walls. Collect some friends. You'll need a stand-in judge, a walking steward for Novice, two figure-8 stewards for Starter Novice and Novice (no, the "judge" may not double as a post), and a camera person or tripod. Upload your video to YouTube, Facebook, Vimeo, Google Drive, or some other online host. Copy the link to submit with your evaluation request. Complete a Video Evaluation Request form and pay for the evaluation via PayPal. Request forms are only available to registered teams. We have priced evaluations so they are comparable to or below the entry prices we charge to enter a live trial. Single runs may be evaluated for $20, two runs for $35, and three runs for $50. Video evaluations are sort of like an open-book test. Do your best, and only send in runs you are sure will pass. We don't track how many takes you need to get a "good one." We only care that the video you submit meets our requirements: no edits at all, dog and handler always in view, and starts with the ring entry and ends with the ring exit. If you are a dog training instructor with students who are interested in earning obedience titles by video, contact the CDSP Video Coordinator for group discounts on dog registration.